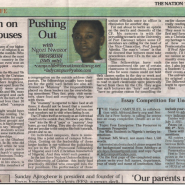 Free Enterprise: The Precursor to Economic Prosperity was the topic of an essay competition in 2011 arranged in a collaboration between AfricanLiberty.org, Campus Life, a section for students of the main English speaking newspaper in Nigeria the Nation, and Network for a Free Society. 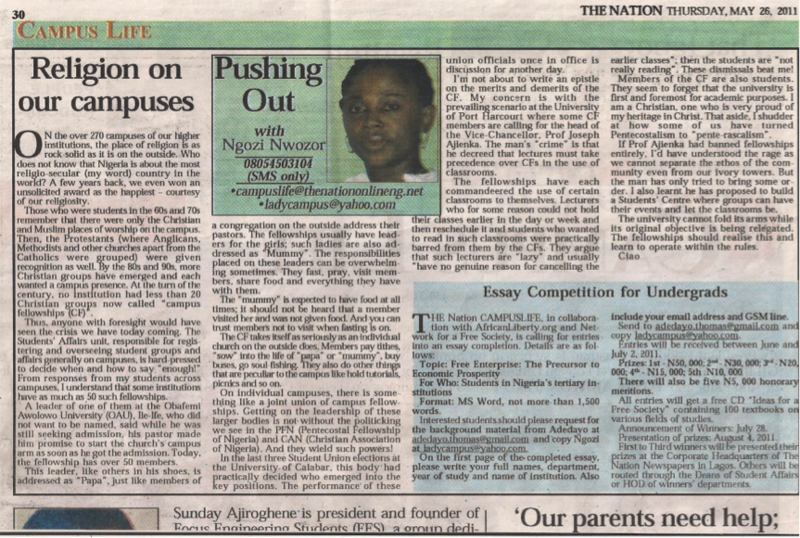 This essay competition ended Friday 2, 2011. 122 students had requested and received background information including a CD each. 81 entries were submitted and nine disqualified so 72 entries from 34 universities were sent to the judges, who in the first instance are independent of the organizers. One of the immediate outcomes of this essay competition was the line up of schools wanting to hold seminars with AfricanLiberty.org. 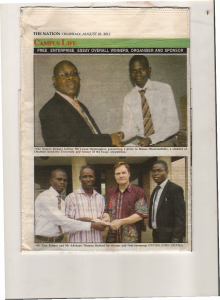 Next will be Lagos State University on July 8th and 19th 2011. And more collaborative requests emerge when as soon as winners are announced, presentation of prizes made and pictures posted in the The Nation newspaper. The essay was graded using four grading elements. The first is the writer general understanding and discussion of the issues in the topic which should also show the writer understanding of the free market idea and the strength of the argument presented. This section carries the largest share of the marks. It carries 50 marks which is half of the total marks available. The second categorization has to do with the structure of the essay; the introduction/opening; body and conclusion. This carries 20 marks (20%). The third element is the presentation, style and prose. In this I look for creativity and style with appropriate choice of words without losing focus of the real issue. This part also carries 20%. The final section carries 10 marks and it concerns the grammar and mechanical accuracy. The highest score is 77% while the lowest is 20%. Though their interpretations of the question differed, but broadly most of the writers showed a good knowledge and understanding of free market concept.